When it comes to enjoying outdoor spaces, whether it’s in your home or at a local restaurant or bar, it’s always great to know when the temperature dips you don’t have to cut the enjoyment short. 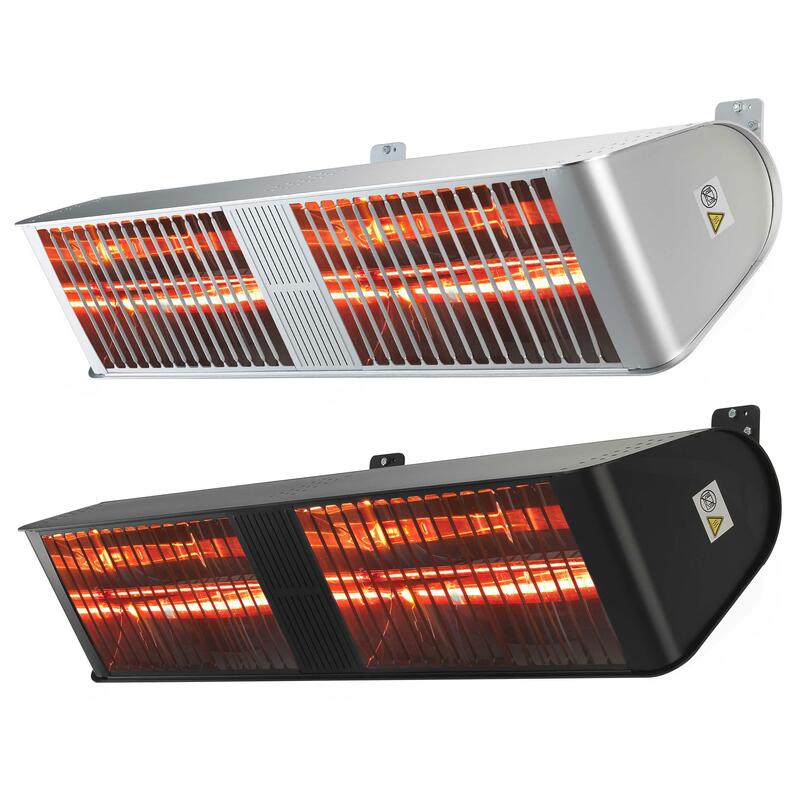 The emergence of fantastic infrared heaters makes it possible. 'Al fresco', as we all know, offers relaxing enjoyment with the added ambience of being in the great outdoors. We all know outdoor heating can offer the gentle warmth you need to keep the party alive, and the relatively new emergence of infrared heaters makes it even easier to choose a viable option for your patio heater, garden heater or other large space which doesn’t necessarily have traditional heating installed. Infrared heaters can offer instant warmth at a variety of temperatures and, with infrared, you have an incredibly stylish range of designs to choose from. Below we’ve put together five of the best infrared heaters available today. 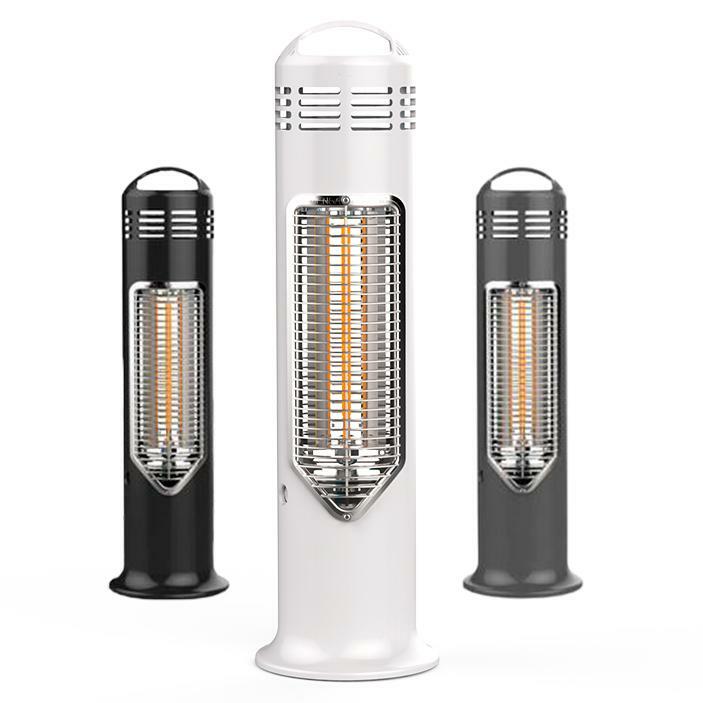 They range from small patio heaters like the IMUS ECO Patio Heater to the much larger, normally commercially used yet highly effective Shadow Fatboy Double Ultra Heat Patio Heater. Read on and find out what the ideal infrared heater for your outdoors is. The IMUS is small, sleek and certainly stylish. Its lower output should not be mistaken as compromised design because it offers a highly portable, usable infrared heat which is eco-friendly and ideal for conservatory heating or keeping the chill off as an under table heater. At just over 67cm tall and 20cm wide it’s nice and portable and can be pulled up to the edge of a group easily in any outside dining or social situation. Our Shadow Nirvana is a real customer favourite. Stylish and versatile, it’s an infrared heater which is testament to the superior Shadow brand. The exterior design looks great, the heater can be wall or ceiling mounted for any application and it comes with a remote control for easy control once installed. The output level is even shown on the handy LED monitor on the side of the unit. As a relatively subtle means of outdoor heating, Ultra Low Glare is the way forward if you are looking for an infrared heater with minimal impact on the ambience of your patio or outdoor space. The Shadow is a classic, durable and reliable infrared heater which is now synonymous with patios, pub gardens and outdoor areas here in the UK. 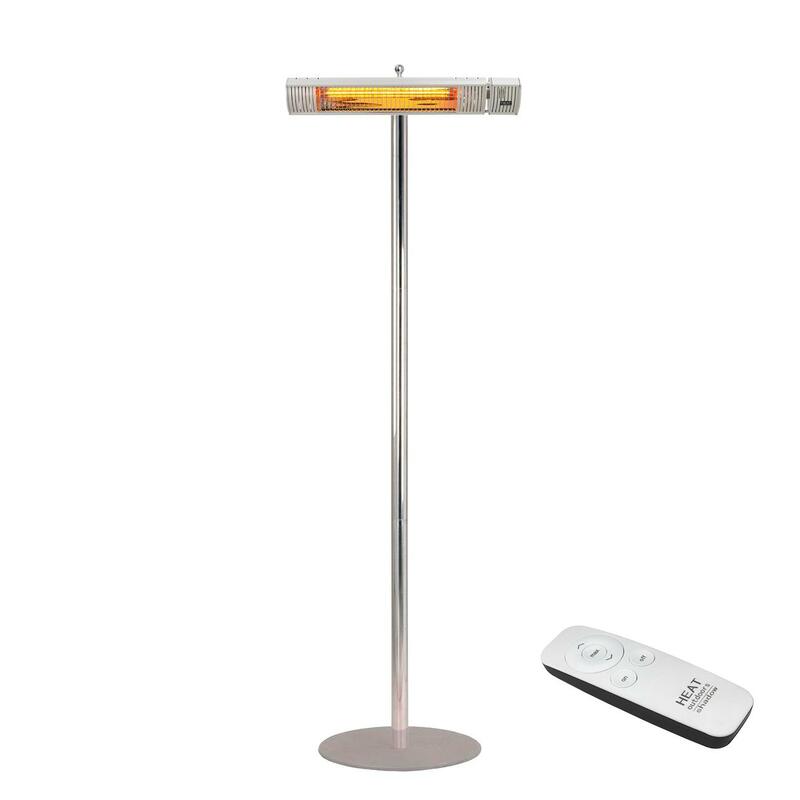 With our package, it comes with the sturdy yet stylish stainless steel stand to position the heater wherever it’s needed, and a Bluetooth remote controls heat output. Why not also look at the incredible range of options available in the Shadow range? 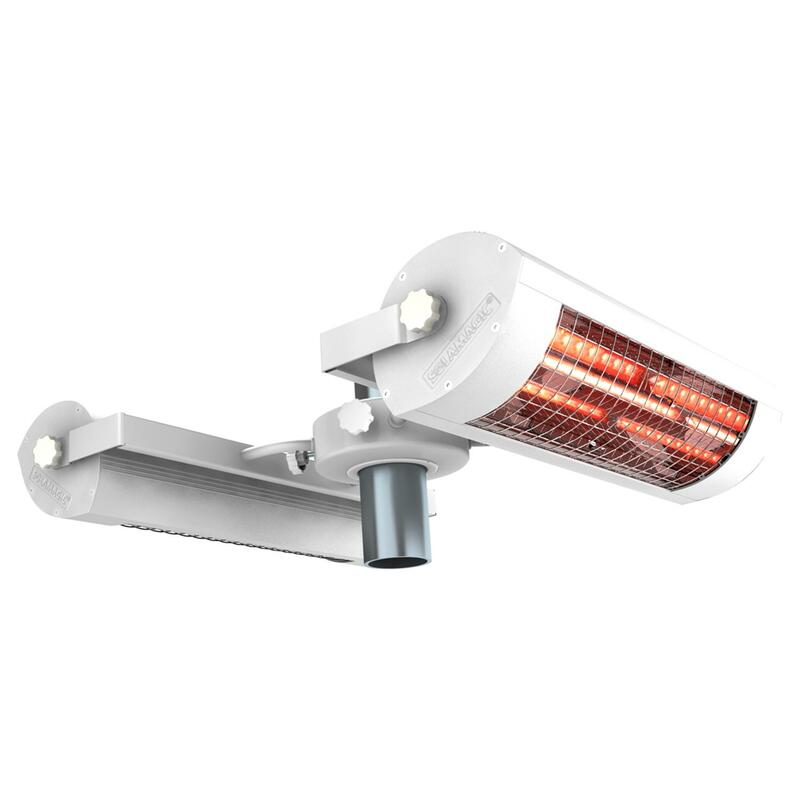 These infrared heaters come in all manner of sizes, can be remote and non remote and can even be mounted to walls and ceilings. Latest infrared lamp technology as well as the lightweight aluminium construction make the Solamagic range the gold standard for outdoor infrared heating. 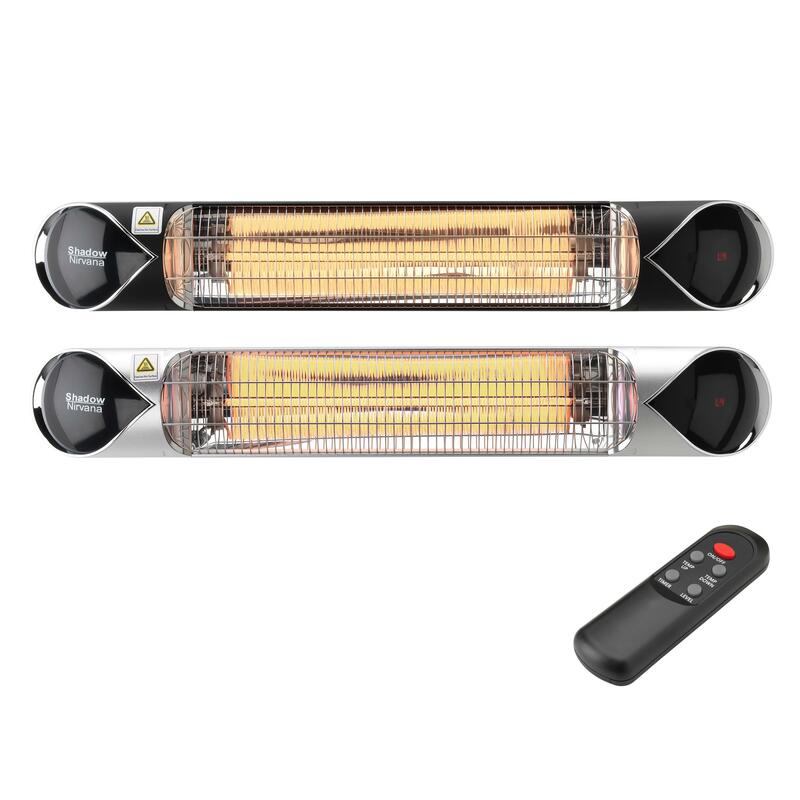 Here the parasol heater is available in a range of power outputs all with shortwave instant infrared heat as well as single, double or quadruple unit layouts. It’s certainly not the cheapest infrared heater money can buy but it is exceptional and should be well worth consideration if you’re looking for the best. When it comes to Fatboy, there’s no holds barred. Although arguably more suitable to a commercial environment, if you do have a particularly large outdoor living space the Fatboy will be equally suited. The unique large parabolic reflector in the Fatboy means, with the Fatboy, you get a superior infrared heater per kW/hr than you would with other heaters. Essentially, more heat for less expense. It also helps that the Fatboy's chunky design looks great and is offered in black, silver and white. Combine any configuration of the Shadow Fatboy and you’ll find the Bluetooth Control Box a handy gadget to control your new setup from anywhere in the vicinity. Shadow Fatboy comes in a range of sizes, so be sure to check out what would be ideal in the environment you’re looking to use them. They’re the ultimate infrared heaters.